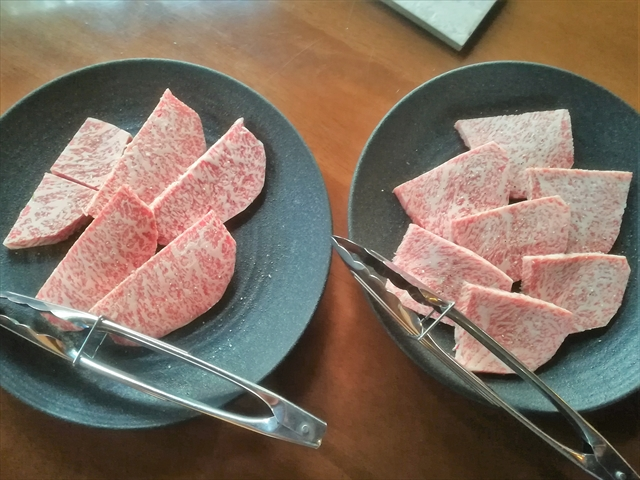 美味いのは、どっちだ？ Which is more tasty, female cow or ox? English translation is shown at the end of this article. Everyone has their own liking for the taste of beef. I admit that there is clear differences between a female cow and an ox. Beef of a female cow testes actually less oily and rich than that of an ox. Generally speaking, a female one is richer in flavor than an ox, but I don’t think it is always so. 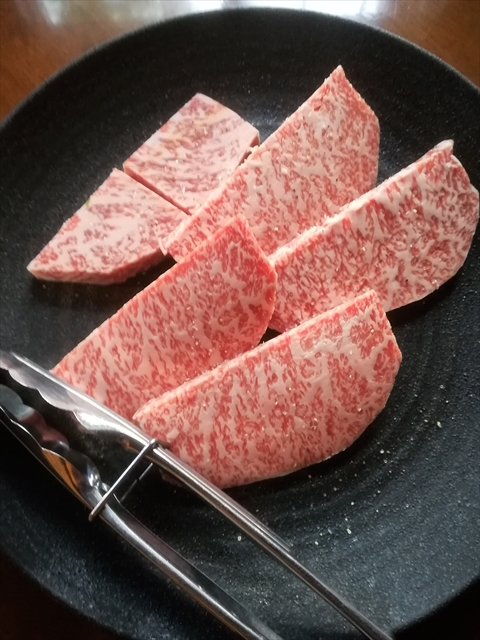 The most of lib eye I buy belong to an ox, but the beef is much more tender and much less oily than an ox in gereral, thanks to the wholesale dealer’s judgment and strong preference. The foster period of these ox is longer than usual, which gives the beef enough flavor. Tasting is believing. I actually broiled both of the beef and compared. First, I tried female one (picture ②)　It tastes less oily, but is rich in flavor and juicy. I felt like I could eat them without an end. Next, I tried ox one (picture ③). It took a little more time than that of female. I guess it is because of the quality and quantity of the fat. Their looks of the marbling is very similar. It is of course more rich and oily than that of female beef, still I don’t think it was over-rich at all. 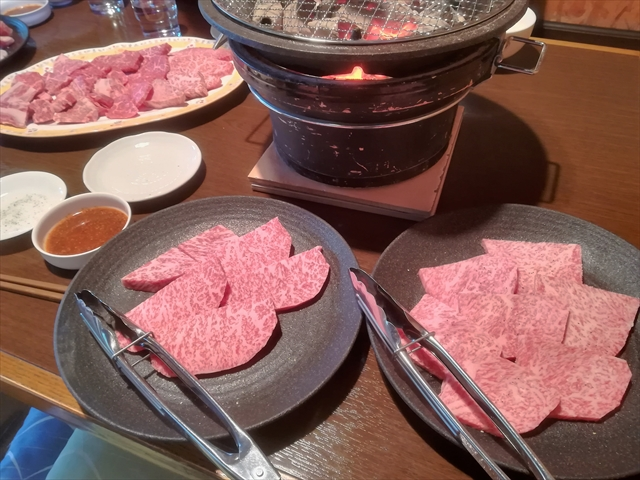 Both tasted very good, and I felt ox beef is underestimated in spite of their rich flavor. Everyone has its own preference. 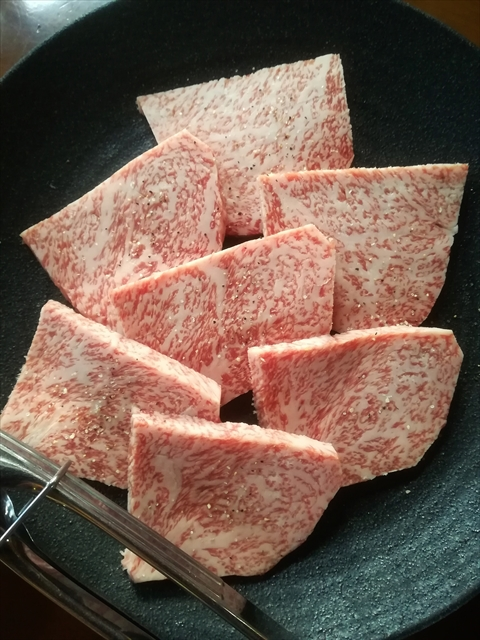 Every beef I offer at my restaurant is very tasty and tender no matter whether it is female beef or ox beef, because I buy only the best beef with great quality and high grade.